I try my best to only feed my five kids healthy nutritious snacks. They don’t always eat the meat that I prepare so I find it challenging to make sure they are getting enough protein in their diets. My little boys love peanut butter and jelly sandwiches but most peanut butters do not have a very high nutritional value. Danielle Dietz-LiVolsi, a philanthropist, mom, foodie, yogi, runner and seeker of laughter and creator of NuttZo, knows how difficult it is to get kids to eat nutrient rich foods. When she adopted her son from an orphanage in the Ukraine he was vitamin deficient and malnourished. While regular peanut butter was good (she grew up on JIF smooth! ), Danielle wanted to feed him something that was high protein and nutrient rich. Her homemade natural nut butters were the only thing he’d eat and after she slaved in the kitchen making it day after day, her husband said, “Danielle – why don’t you just go out and buy that stuff?” And she replied, “I can’t! They don’t make this.” And that was the AHA moment. NuttZo combines seven delicious 100% organic nuts and seeds. 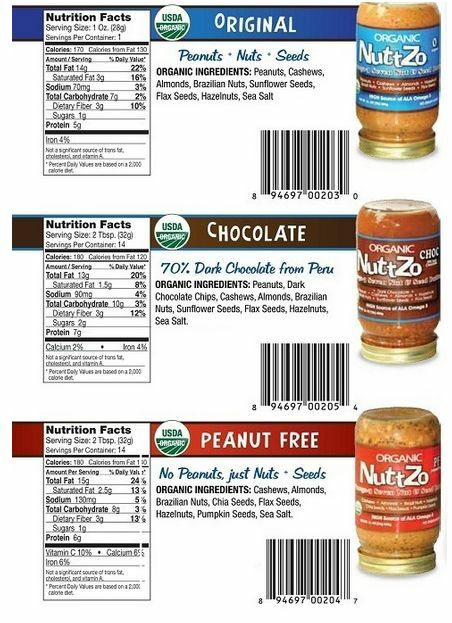 All three flavors, NuttZo Original, NuttZo Peanut-Free and NuttZo Chocolate have less than three grams of sugar per serving and are a complete protein so you can eat it right out of the jar. 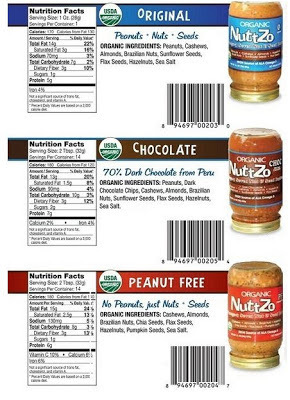 Now that I am using NuttZo as a peanut butter alternative for my childrens’ PB&J sandwiches I know that they are not only getting the protein that their muscles need, but they are also getting essential vitamins and Omega 3’s not found in high amounts most peanut butters. Visit gonuttzo.com for more information, to purchase online and to locate a store near you that sells NuttZo. You can also follow NuttZo on Twitter at twitter.com/EatNuttZo and like NuttZo on Facebook at Facebook.com/GoNuttZo. *Disclosure: I received a jar of Chocolate NuttZo and Original NuttZo in exchange for this review. All opinions are accurate and 100% mine.